Google's Drive file storage and synchronization service may often claim a larger share of headlines than Canonical's competing Ubuntu One cloud service does, but this week Ubuntu One gained a critical competitive edge. “Ubuntu One is cross-platform and works on Windows, iOS, Android, Ubuntu, the Web, and now on Mac, so you can use Ubuntu One between all your favorite OSes and across devices,” reads the official Wednesday post on the Ubuntu One blog. New in this official Mac client for Ubuntu One are a feature that automatically checks for and downloads the latest updates, as well as the capability for Ubuntu One to keep running in the background even after the user has quit the Ubuntu One app. Users of the current beta version of the Mac client will need to install this new version manually, Canonical says, since the beta version didn’t have automatic update functionality. 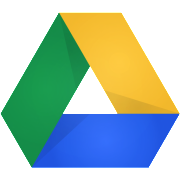 Google Drive hit 10 million users this past June. Meanwhile, some 40 percent of Ubuntu's 20 million or so users worldwide—amounting to roughly 8 million—are estimated to use Ubuntu One, which officially hit one million users last year. Market researcher iHS iSuppli expects the overall market for cloud storage services to reach 625 million in 2013.